A sunny afternoon is the perfect excuse to hop in the car and go for a drive in the Adelaide Hills. 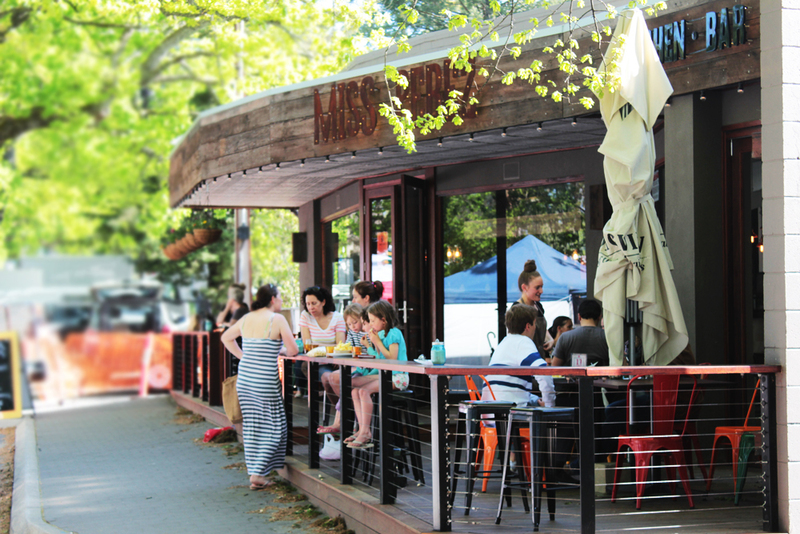 While you can stop into some wineries or go strawberry picking, you can also stop off for a long lazy lunch at somewhere like Miss Perez Kitchen & Bar. 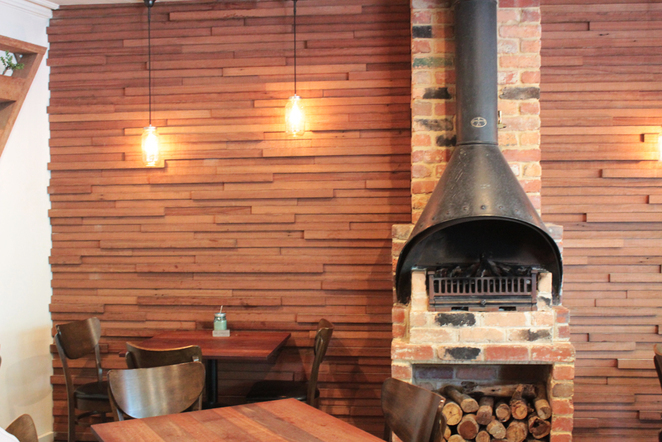 Just off the Stirling main street, Miss Perez is warm and cosy but stylish and modern at the same time. There's a large wooden decking outside that sometimes features a large paella pan and looks out onto the busy Stirling market one Sunday a month. Inside you can pick between large group tables perfect for sharing food and drinks, or head to the other dining room for smaller groups. The name implies a Spanish or Latin American touch, but the menu is more eclectic than that. There are influences from Thailand, Mexico, and Morocco to name a few. 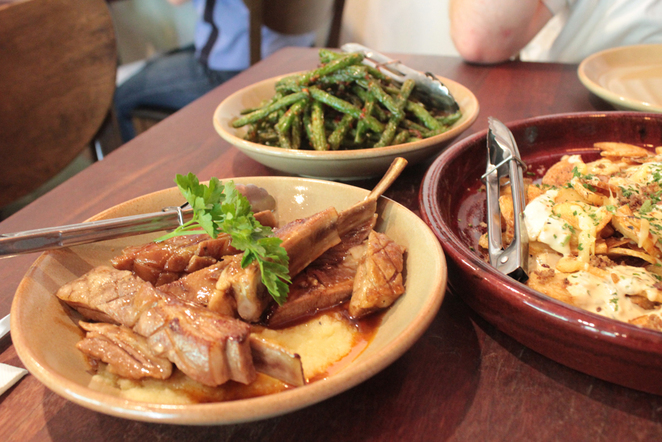 The menu starts with little plates and these are definitely the most exciting options on the menu. They're simple but tasty and you can build up a fun shared lunch or dinner. 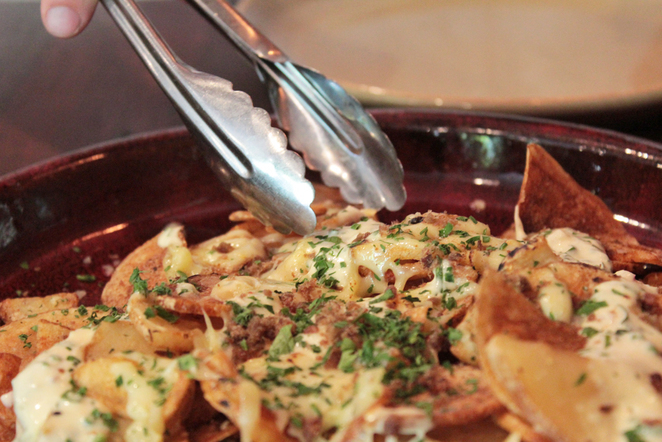 The portion sizes are quite generous, so don't worry too much about going hungry. There's the potato skins with gouda, bacon, and porcini salt that are crunchy and gooey and all round pretty delicious. Other dishes include the chicken liver parfait with garlic croutons, the sticky lamb ribs with skordalia and paprika oil, or the polenta fries with salsa verde. 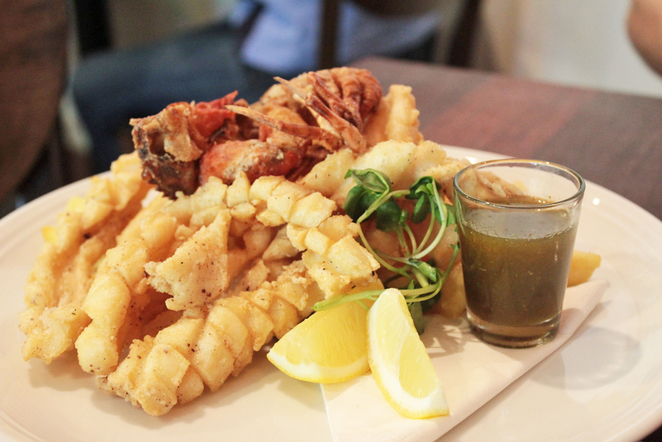 Mains include the salt and pepper squid, mulloway, Portuguese chicken, the flat iron steak and meatball spaghetti. It's a fairly regular Australian mains menu, but Miss Perez adds a few twists like soft shell crab with the salt and pepper squid and miso, shitake mushrooms and soba noodles with the mulloway. All in all Miss Perez is a lovely spot. They can get busy, and you may feel a little bit invisible at times. 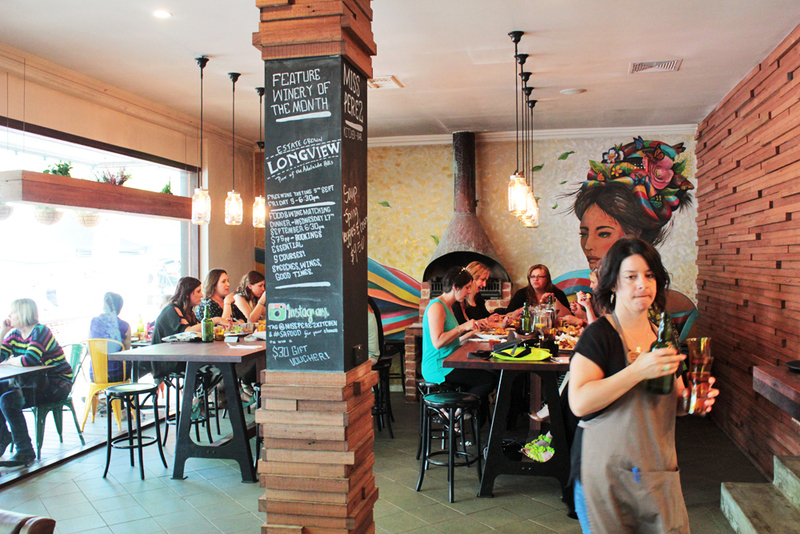 The decor is vibrant and its a fun place to get together with some friends. Follow them on Facebook because they have special events from time to time like wine dinners and paella sundays. 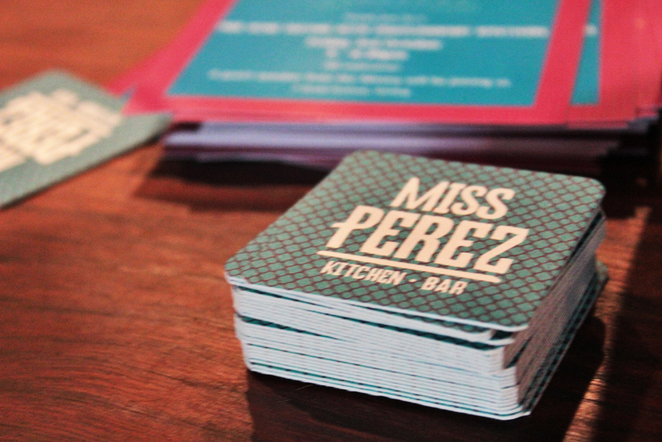 If you want to try something a little different in the hills, give Miss Perez a try.